They say “tis the season to be jolly.” This does not have to be restricted to only your personal life. However, you do not want to take your holiday celebrations to the extreme either. There is wisdom in balancing your career with your holiday excitement. Unless your livelihood is not linked to the paycheck you receive from your job or you work from Scrooge then finding that happy medium will be vital. Most business establishment and offices use this festive period to give their surroundings a new and appealing look. Typically everyone appreciates beautiful decorations and you can use that as your first step to test the waters. If you turn your cubicle office space into a cleanly designed but holiday themed work zone then there is a probability that your employer might take notice and invite you to decorate the entire business premises. This would give you the opportunity to demonstrate your team spirit and bring some seasons glow. Mind the size of your office. Even if your boss or other employees don’t appreciate office decoration during holidays, you can do it in a way that they won’t be bothered. Don’t over-do it like most people do. Just keep it simple and beautiful. If you over-clutter your space with Christmas trees and toys, when you know your office is small, then you are making it look like your job is secondary. It could also portray you as disorganized. Start and end with cleaning. If your employer or other co-worker seem to be less than pleased with your decorations, they will appreciate a neat office. Start the decoration from your door by giving it a little scrub and then move on to clean the walls and windows of your office. You must also be sure to clean up any mess your decoration might have created in the course of designing them. Use small but beautiful decorations. Having adopted the principle of simplicity, you can go ahead and get beautiful but colorful Christmas trees that you can attach to your door or office table. You might also want to speak with your boss and see if he/she would want to increase team moral by throwing a contest. This would promote teamwork and make the office look more festive. Be sure that any materials or tools you use at your place of employment has been approved and sanctioned by your supervisor. There is always the possibility of an accident at work. Changing your window blinds to colorful green and red mixture during festive periods like this is also acceptable. Choose your decoration time cautiously. If you don’t want to offend others, ensure your decoration time is well planned and scheduled to avoid criticism. You should try not to decorate during your work hours. Decorating activities should take place either before or after your normal schedule. This will not only give you time to focus on the placement but will come as a surprise to your co-workers. Avoid loud music. If you are alone in the office or you share it with others, you must avoid any form of distraction. 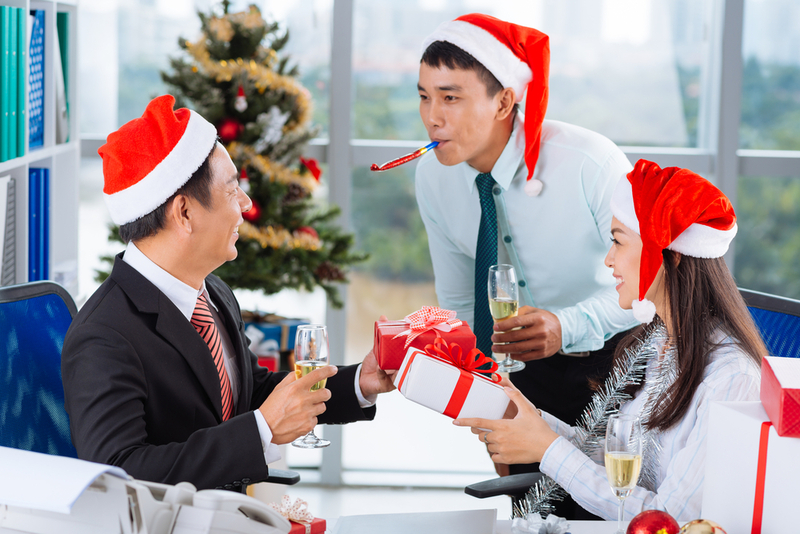 Christmas songs are good and melodious but you need to make sure that your music is not distracting another employee. What are your plans for the holidays? Do you have any office decorating tips you would like to share? As soon as snow and ice arrives on roadways, some drivers act like they have never driven in wintery weather. Although a good amount of winter car accidents occur due to the inclement weather, many accidents occur because of a driver error. Fortunately, there are ways that you can decrease your chances of getting in an accident during the icy and snowy winter weather. Tires: A tire with little tread will be of little help on the ice and snow. A good rule of thumb when testing the tread on your tire is by putting a penny in one of the treads. If Lincoln’s head is covered, your tread is good. If not, you should have your tires checked out and consider getting them replaced. It’s always a good idea to stick to your tire rotation schedule, too. Battery: Colder weather is hard on your car’s battery and if it’s older you’re likely to go out to your car some morning and find that it won’t start. Check the cable connections and make sure that the terminals (or posts) are clean. It may be a good idea to go ahead and purchase a new one if your battery is old. If your car technician suggests replacing anything else, such as hoses, don’t wait until you have a breakdown. It will save you more money in the long run. 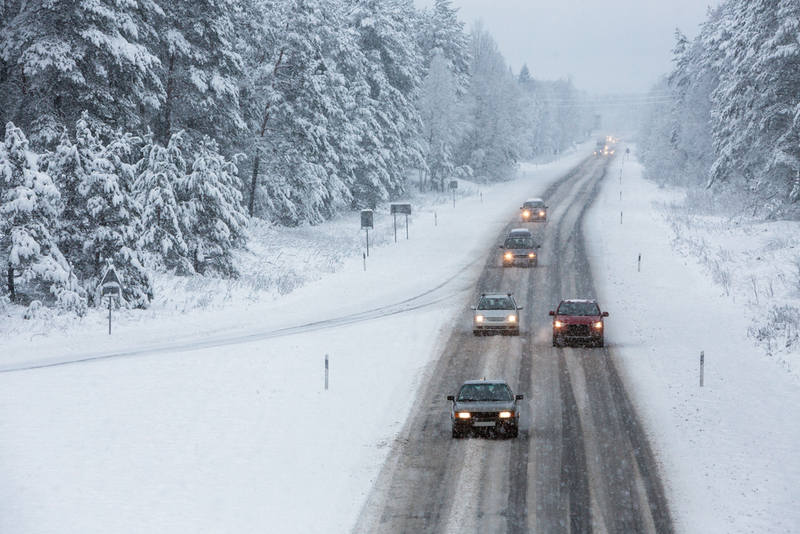 Winter driving can be stressful, particularly if you’re caught in a snowstorm during your commute. Although you may be nervous or feel under pressure by other motorists, stay calm and take your time. Get the Forecast: Whenever possible check out the weather forecast and if it sounds like travel isn’t recommended, try to stay off the roads. Give yourself extra time to get to where to need to go. Keep Your Distance: Tailgating is a terrible driving habit. In the winter, in particular, it’s extremely important to keep a safe distance between you and other vehicles, specifically larger trucks and snow plows. Never try to pass a snowplow. No one wants to get stranded or run into car issues during the winter months, but it’s wise to prepare yourself for any type of emergency. Experts suggest either buying or building your own winter emergency car kit, which can include anything from non-perishable foods to blankets to flashlights and road flares. Winter driving doesn’t need to be dangerous. A lot of the winter driving risks depends greatly on the choices that drivers make in maintaining their vehicles and how they operate their vehicles. Were there any witnesses present at that time? How much compensation are you ready to accept to settle the matter? What to do when the settlement is unsuccessful? Though most of the civil cases are resolved before moving to court, there are many instances when the defendant (accused party) is not ready to compensate the victim (plaintiff). When this happens, the next step is to move into court and challenge the defendant there. A judge will handle the case and give you a hearing date. If you win, the defendant could be liable for your legal fees during the trial and any lost wages. It must be noted that, in civil cases, the defendant will not be given any jail time. That only happens during a criminal case. In civil cases, the defendant will compensate through paying fees. The highest compensation is offered when serious injuries such as bone fracture or brain injuries are involved. It is imperative to consult with your lawyer about the fee they will charge. There is also an option of “no-win, no-fee.” So, it would be better to have a talk with the lawyer before proceeding with the case. Having enough evidence in the form of documents and witnesses is of immense importance to make a good case. If you don’t have any evidence, even if you are the victim, the court won’t be able to take any actions. The compensation offered is directly proportional to the severity of the accident, provided you win. In any case, your lawyer will be there throughout the trial to help with all the proceedings. It is vital to note that the time taken till the verdict is reached depends on the strength of your claims and evidence. Normally, civil cases, contrary to criminal cases, takes less time to reach a verdict. However, it all depends on the evidence, your local jurisdiction and the defendant. Conclusively, you must be aware of the rights if you are involved in an accident. As of this July, the Americans with Disabilities Act (ADA) is twenty-five years old. In 1990, activists convinced lawmakers to make sweeping changes to the way society treated people with disabilities. Things the ADA made common include now-familiar things like curb cuts and wheelchair ramps, assets to Americans of all abilities. Let’s celebrate the achievements of the ADA by discussing ways you can ensure your business complies with the law. Remember, business who ignore the ADA may be at risk of many types of lawsuit. A person with a disability who gets injured on your land could sue your business. Under the ADA, buildings need to be accessible to people in wheelchairs. Wheelchair accessibility can take many forms. Door width. According to Karmen Healthcare, doors must be 32 inches wide. This ensures that people in wheelchairs can get in and out of your establishment freely. People don’t want to get stuck in your doorway. And you don’t want your doorway to get plugged up. Bathrooms should also be big enough to fit someone’s chair. You’ll need at least one stall per bathroom. For someone with a disability, a long walk across a parking lot can be a trial, even a dangerous one. You don’t want someone getting hurt in your parking lot, do you? Parking lots are required to have at least one accessible spot for every twenty-five parking spots. Additionally, one out of every six spots needs to be van accessible. Certain types of door handle are difficult, painful, or impossible to open for a person with a disability. Accessible handles are generally defined as handles which swing, not turn in a circle. The ADA has specific rules about how many accessible handles your establishment needs. At least sixty per cent of your entrances need accessible handles. Make sure your business is accessible to everyone. This will improve business, as well as ensure that nothing goes wrong on your property. Yes, your website should comply as well. Although a non-compliant website will not land you a personal injury lawsuit, it is still important that you keep aware of this requirement, since it will make sure everyone can access your content. To make your site accessible, your site will need to be able to be read by a screen reader. A screen reader is a piece of adaptive technology that allows a person who is blind to use the internet. The reader lists off every content item on a page and reads it to the user. To comply with the ADA, the most important thing is that your page’s images will need an html tag called <alt>, along with a description of the image. This tag allows the screen read to describe each image to the user. Speak with your webmaster to make sure your alt tags are accurate and up to date. As a bonus, search engines like google also use <alt> tags, so these tags will help make it easier for all people to find your website. Once the summer ends and school is back in session, you shouldn’t have to worry about your child, wondering if he or she is safe. While schools should be a safe environment for children of all ages, children are still prone to injury at school or during extracurricular activities. It’s impossible to follow your child around all the time nor can you create a magic bubble to protect them from harm. You can, however, teach your children how to be safe at school and during other activities away from home. Your child may still suffer an accidental injury, but if he or she is prepared to be safer the chances of injury are less likely. Remind your child to follow directions and don’t break any safety rules. Encourage your child to think before he or she makes a choice at school. For example, ask questions that will make your child think about consequences. What would happen if you pulled on your classmate’s shirt? What might happen if you jump off of the monkey bars? How would you feel if your chair fell on the floor because you were tipping backwards? Explain your expectations and discuss consequences for not following safety rules at school. Kids who play sports are almost destined for an injury. Each year, millions of children of all ages visit the ER for various sport related injuries from dislocations to concussions. While it’s the coach’s responsibility to supply safety equipment and teach your child how to use it properly, you can be influential in your child’s safety during sports. Explain to your child why safety equipment, such as helmets and pads, are essential while playing a sport. Encourage your child to talk to you if he or she feels like the sport is too dangerous or if he or she sees that the equipment is not being used properly. Additionally, always encourage your child to warm up and to stay hydrated in order to prevent injury. Whether your child walks home from school with a friend or is taking the bus for an extracurricular activity, your child must know how to be safe. While goofing around on the school bus seems to be the “cool” thing to do, remind your child how to be safe while riding a school bus and explain that failing to follow directions can lead to injury. If your child is old enough to walk home from school or walk around the neighborhood with friends, he or she may still need to be reminded about safety. Even in low traffic neighborhoods, children may be injured as a result of failing to pay attention to traffic or walking in the street. If a child is well-informed about safety and injury prevention, he or she can have more independence without causing you stress or worry. As a lawyer fresh from law school, or even as an established member of the bar, it is easy to see and note the various occurrences that result in personal injury all around you. There are so many cases of personal injury each year that it can be tempting to want to handle every single one of them. Asides from the sheer volume of the work that would definitely weigh one down, it is noteworthy to mention that narrowing your field can help you better concentrate in your particular niche. Choosing the right specialization can help you do good for society and excel in your area of expertise. The best personal injury lawyers are always passionate about the area they specialize in. You should ask yourself if you are concerned about a particular personal injury. Your compassion for victims of that particular injury would motivate you to do your best for them. Being too passionate about a cause can be a double-edged sword. If you should happen to be too passionate about the particular injury, your judgment could become clouded, or your decisions could be called in to question due to personal bias. Do You Understand It Well? Understanding the aspect of personal injury is a major requirement for choosing your focus area. It is common sense that you are likely to continue to do well in an area that you understand well. 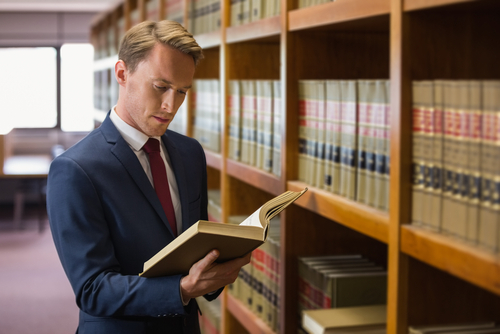 If you are a recent member of the bar, you can choose an aspect that formed a part of your bachelor’s degree, or if you are a seasoned attorney, then you must know or have a very good idea of what areas you have aptitude in. Every personal injury lawyer, just like every lawyer, is in it for the win. You need to win the case and ensure your client gets what they deserve. However, in personal injury law there is also the humanity factor. Many of the top personal injury lawyers would tell you that the most important factor in this field is compassion. If you are compassionate with your clients about their personal injury struggles, and you are concerned with getting them their due, this will give you the motivation to succeed in doing so. You must be sure that you want to pursue personal injury law before even pondering a specialization. If you have decided that this is the route for you, choose the focus are in which you have a combination of passion, knowledge, and compassion. Narrowing it down in this way should help make your decision an easier task. After an injury related to medical malpractice, it is not uncommon to be reluctant to want to stay away from hospitals. While that is understandable given the circumstance of the injury, rehabilitation is a necessary part of the healing process. This requires a professional level of care and stress relief. This stress relief can come from sources other hospitals, and some of the techniques can even be performed by you. The following are some simple ways you can relieve stress and feel better after experiencing a medical malpractice injury. People often try to return to full capacity after undergoing a medical procedure. If you have experienced an injury in the process, getting plenty of rest is especially crucial to help feel better and heal. It is important to let your body recover at its own pace. Do not rush this process by attempting to jump back into your previous routine until you are fully ready to do so. This will help also help to avoid placing unnecessary strain on the injury, and help to prevent further injury. Studies show that injuries occur more frequently when there is a preexisting injury. For thousands of years, massages have proven to be a sure solution for aches and pains. There are different massage therapies that can be implemented, depending on your injury and injury site. They can help with pain management and stress relief. There are many types of massages that target different results. Some examples of the many varieties of massage therapy styles include: Trigger point massages which focus on the area of injury where muscles have knotted due to the trauma, and Key area massages which focus on specific portions of the body which have been shown to have effects on other parts of the body. Licensed chiropractors can provide this type of relief by pinpointing your trouble areas and focusing in on spots that are most troubling to you. Other kinds of massage that are popular and well known include Swedish massage, Deep tissue massage and the Sports Massage. The Sports Massage deals with muscle based injuries. It should also be noted that massages are not restricted to muscle trauma, but can also help fibromyalgia, insomnia, anxiety and many other ailments. This massage is highly effective in treating trauma related injuries. It involves placing a ball, usually a tennis ball, on the floor of your tub which is to be filled with bearably hot water and then lying on the ball in order to run it across your back. This particular massage is effective because it utilizes both the hot temperature of the water and the nature of the ball to massage the injured area. There are many ways you can relieve stress and assist your body in the healing process after an injury. There are studies that state that having a positive outlook can help expedite your healing time. Try not to become overly angry or anxious about your medical malpractice injury. This will only add stress that can slow down your recovery. Focus instead on action items you can do to improve your circumstance. According to the Colleran Firm, 70% of medical malpractice injuries cause serious injuries and 30% cause death. Medical malpractice is more serious than many people perceive it to be. It is a leading cause of death, yet it does not seem to get the same awareness as more ‘sensationalized’ news stories. Sadly, many Americans are experiencing the repercussions first hand. Consumer products are recalled nearly every day. As discussed on USA.gov, recalls may be initiated by the manufacturer or the government to protect consumers from products that have the potential of creating health and safety risks. The Consumer Product Safety Commission (CPSC) is responsible for recalls in a range of categories, including children’s products, appliances, electronic and electrical products, clothing, furniture, household products, outdoor products, lighting, and sports and exercise equipment, as reported on Recalls.gov. Recent recalls are posted on the CPSC home page. Before you buy a product, particularly a children’s product, it is good idea to check and ensure that it has not been recalled. 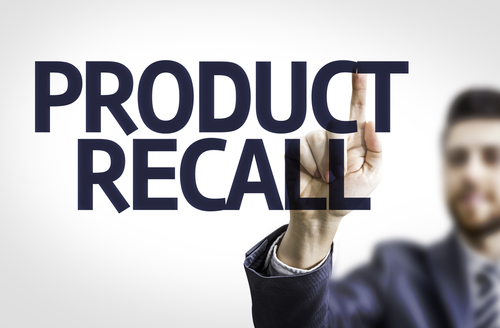 When a recall action is taken, according to USA.gov, sale of the product may be banned or consumers might be asked to return it for repair or replacement. In some cases, the manufacturer provides an additional part to make the product safe. Go to the CPSC website page where product recalls are posted and locate your recalled product. Find out what the hazard is and why the product was recalled. Double check the model numbers to ensure you have the same product. You will almost certainly need to contact the manufacturer of the recalled product. This is generally done by calling a toll-free number, but manufacturers may provide a way to contact them online regarding recalls. In the case of baby products, About Parenting recommends that you register products using the forms provided when they are purchased so the manufacturer can contact you in the event of a recall. About Parenting also states that CPSC has warned consumers against attempting to repair recalled cribs on their own. In fact, you should not try to fix any recalled product on your own unless you have specific instructions from CSPC or the manufacturer to do so. 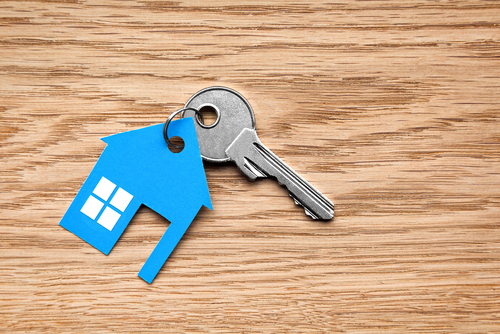 Rental properties can be a great and relatively easy investment, particularly if you find responsible renters who love the apartment or house and plan to live at the residence long term. As a landlord, you have many responsibilities which include making your property safe and sound for any potential renters. Even if you are hesitant to put a lot of money into a property that may get wrecked by rowdy renters, you must keep tenants safe from falls due to a broken stairwell or scalding burns from an old water heater. Your investment in your renters’ safety will save you a lot of money and hassle in the long run. As a landlord, you have expectations of your renters that you make clear in the lease which most often includes paying rent on time and being respectful of the rental property. However, if you fail to make the rental property “livable” you are violating your renters’ rights and they have the right to withhold rent payments, ask for compensation, or even sue you for negligence. Structurally Safe and Sound: Stairs, floors, foundation, and the roof should all be intact and safe for inhabitants. This means that the roof should be free from leaks and flooring should be strong. Keep the Basics Operational: An apartment with faulty wiring, bad plumbing, or broken elevators are a recipe for disaster and tenant injuries. A good question to ask yourself; would you live in your own rental property? If you say “no”, you’ve got some work to do. Heat & Water: Heat and water are basic needs. Your renters should be supplied with hot water and heat for the colder months. Make sure that equipment to heat water, such as water heaters or boilers, are in good working condition and set to a reasonable temperature. Too hot and your tenants can be injured badly. No Exposure to Toxins: Many rental properties are old homes and buildings built with materials that are now known to pose health threats (such as asbestos and lead paint). Renters must know if they could be potentially exposed to toxins and you, as a landlord, should do your best to eliminate or reduce hazardous material. 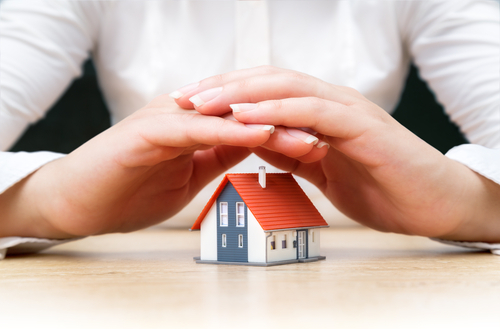 When considering the purchase of a rental property, you must always consider the safety of the building. A certified home inspector, upon thorough inspection, can report what may need to be repaired. If too many things need fixing or replacing to make it safe before you rent, it may not be a worthy investment. Remember, as a landlord, your obligations are to recognize your renter’s rights and make your property as safe as possible. Do not take unnecessary risks if you are hosting a party or event. Keep your guests safe, and avoid a potential injury or a lawsuit due to hazardous conditions. In fact, spinal cord injuries have been known to happen from a walk down a flight of stairs gone bad. It’s easy to overlook safety issues with all the activity of setting up a party, but the extra precautions will be worth the effort. Examine the inside and the perimeter of the event location. Are there cracks in the sidewalk or potholes in the driveway? These could cause a slip and fall, making you potentially liable for any injury. If you have a bouncy house for a child’s party, make sure it is properly anchored and have an adult supervise it. Walkways should be free of obstructions or debris; clear out any furniture that obstructs the passageways. You should consider putting away small objects that can easily break or be swallowed by toddlers. You may want to use plastic and paper products rather than serve food and drinks in glass containers that can break. A primary cause of accidents is a pool that is ungated or unattended. If you have no gate around your pool, designate one or more persons to keep an eye on swimmers and small children around the pool area. A fenced pool is not a guarantee that children won’t find a way in, so all children must be supervised at all times if a pool is on the property. Be alert for toddlers falling in the pool or jumping in without a parent. Water makes the poolside slippery, so ask guests not to run. Walking with bare feet on cement or slippery tiles could result in a head injury or worse. If adults are drinking alcohol, this adds a risk factor as well. Place decorative markers on sliding glass doors so no one runs into them. Put extension cord covers on electrical wires to prevent tripping. Put safety runners on slippery surfaces such as high polished wood or tile. Cordon off staircases if small children are present or if stairs are worn; make sure hand railings are secure. Keep knives or sharp objects beyond the reach of children. Monitor alcohol intake of your guests; make sure they do not drink and drive. It is well worth your while to make a checklist ahead of time for party and event safety. Make especially sure that there are sufficient fire exits and bathroom facilities. If it is a pool party or barbeque, have supervisors at these locations. An event or party can be a fun and memorable experience for you and your guests. Keep everyone safe and secure and it will be a hit! How Much Can I Recover in My Motorcycle Accident Injury Settlement?